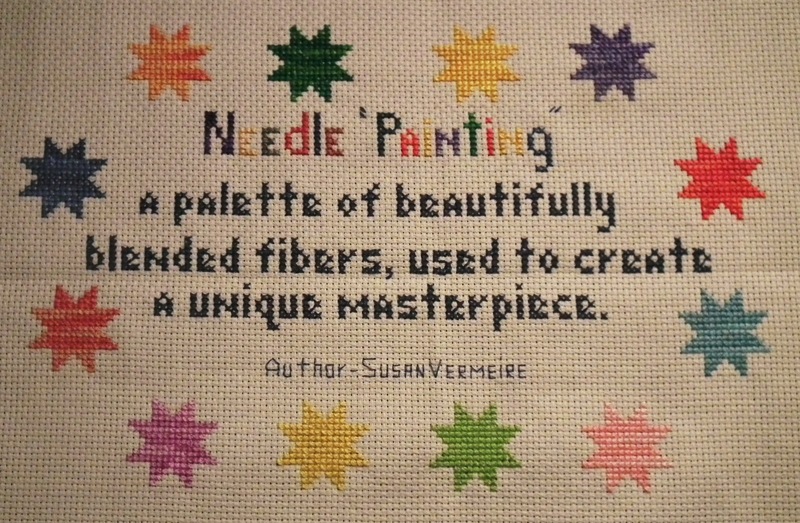 My friend Sue asked me to create a design for her Needle Painting Quote. The design fits a 8x10 frame stitched on 14 /28ct. 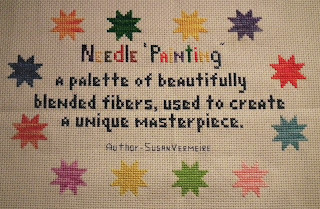 Sue has stitched the model in some of her Favorite colors. Its very Autumn looking. Great job of stitching. Thank you Karen for designing this for me! I have been wanting my quote put into a cross stitch design for a long time.